During the Festive holidays, we will only handle online queries and enquiries until the 4th of January 2018. However, our Winter e-discussion on Volunteering in the Post-Regional Economic Integration Era is still on until the 5th of January 2018 as planned. Those who want to donate to our fundraising campaigns and projects (such as Gifts of Peace and Communications Gift) are welcome to do so. CENFACS’ Charity e-Store is opened during the Festive holidays for those who want to donate goods and or purchase donated goods. Remember! We can only help reduce and possibly end poverty if you help us to do so. And this time of the year is a unique opportunity for you once a year to change lives through your invaluable support however small it may be. Please, don’t miss this opportunity! Our Season of Light continues as planned. However, some of our services and activities (such as advice-giving, advocacy etc.) as well as development campaigns are scaled down around this period until the above mentioned return date. For those who want to get a further picture of what has been happening during this December at CENFACS, we recommend them to read our three last posts on the Blog page of this site. People should expect delay from us in returning to their calls/e-mails. We heavily rely on volunteers for most of our services, who are sharing the Winter e-discussion with us during this Festive time. Most of them are already on holidays. In case of emergency or exceptional circumstances, please do not hesitate to text/phone; we will respond to your text/phone as soon as we can. We apologize for any inconvenience or upset this may cause. 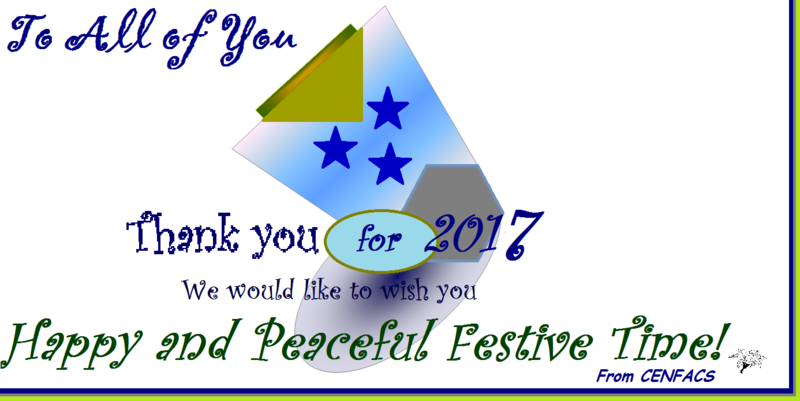 We thank you all for your invaluable support during 2017 and look forward to your continued and further support in the New Year. We wish you a Very Happy and Peaceful Festive break!